A key strength of Silcoates Sixth Form, is its pastoral care. 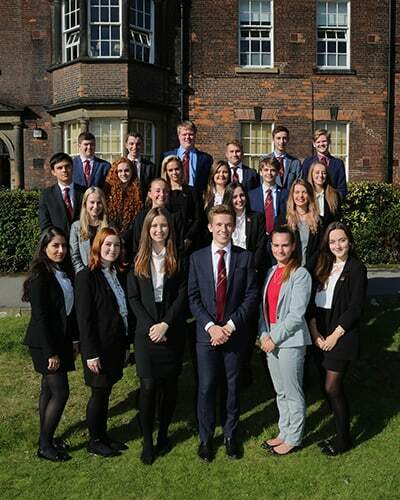 Upon entering the Sixth Form all students select their own tutor from a team of ten tutors. A Sixth Form tutor is a personal tutor, acting as a supporter and confidante. The tutor is responsible for supporting their tutees both academically and socially through a difficult transition period. Tutors are responsible for the welfare and well-being of their tutees. Tutors groups are small and this allows the tutor to really get to know the student. They build a relationship with their tutee, understanding their strengths and weakness, which allows them to give better advice. Tutors give a vast amount of time in helping students prepare for A Levels, UCAS or other applications and this wouldn’t be possible without dedicated tutors, who genuinely care about the welfare and development of the students. Students at Sixth Form have access to our School Chaplain and an array of teachers who are Mental Health First Aid trained as well as a team of Prefects who are dedicated to student welfare.